Since 4 July 2016, Andrea Coscelli has been acting chief executive of the CMA. 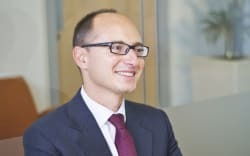 Prior to taking up this role, Andrea was executive director for markets and mergers, in which he ensured strategic leadership of the markets portfolio and acted as a decision-maker in important merger cases. Andrea has held previous roles as director of economic analysis at Ofcom, vice president in the European competition practice at Charles River Associates, and associate director of Lexecon Ltd. Andrea is also co-founder of the Association of Competition Economics.